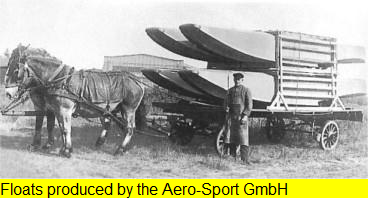 In 1923, the highly decorated Walter Bachmann founded the "Aero-Sport GmbH" in Warnemünde for the training of pilots at the "Hohe Düne" airfield. 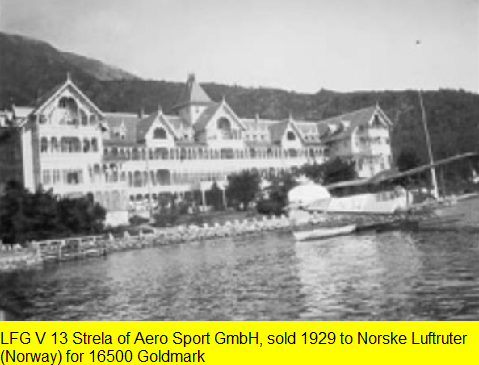 Theodora "Thea" Rasche, a "Queen of the Skies", was the first German pilot here to pass the Seaplane test (A1 certificate for Seaplanes). After 1926, land and seaplanes of the Ernst Heinkel aircraft factory were repaired and manufactured, including replicas of the LVG B.III (two-seat reconnaissance and training aircraft), as well as aircraft were purchased, refurbished and sold with profit abroad. 1933/34 the air force, later the Kriegsmarine took over the airfield in Warnemünde. Walther Bachmann found in Ribnitz with the nearby airfield Pütnitz good conditions for the construction and testing of land and sea aircraft and moved the "Aero-Sport GmbH" from Warnemünde to Ribnitz. Meanwhile, he had earned a certain wealth and had possession in Körkwitz, Neuhaus and Ahrenshoop. At some point at this time, the company was renamed "Riebnitz repair shop", this probably happened for reasons of secrecy.